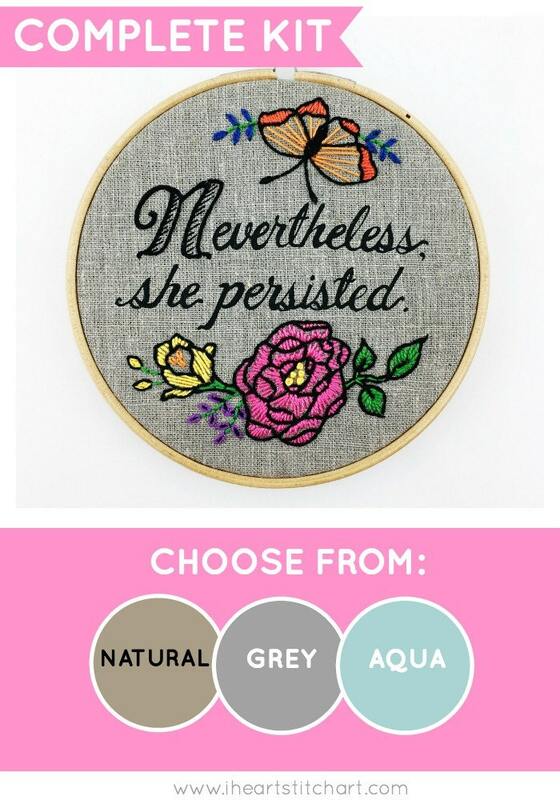 Hand Embroidery Kit - jump into modern embroidery with this DIY embroidery kit featuring the ultimate girl power slogan - Nevertheless, She Persisted. 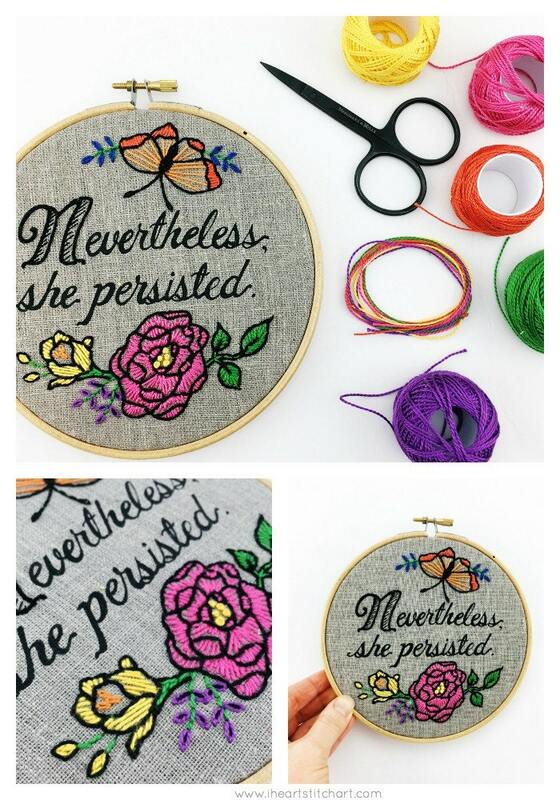 This complete embroidery hoop art kit celebrates the strength of determined women, throughout the ages and around the world. From Laura Ingalls Wilder to Marie Curie, Jane Austen to Jane Goodall; from the young mamas to the great grandmothers, to the very littlest girl. Women and girls face challenges large and small every day - and stand up to them, with pluck and determination, hard work and grace - and always with persistence. 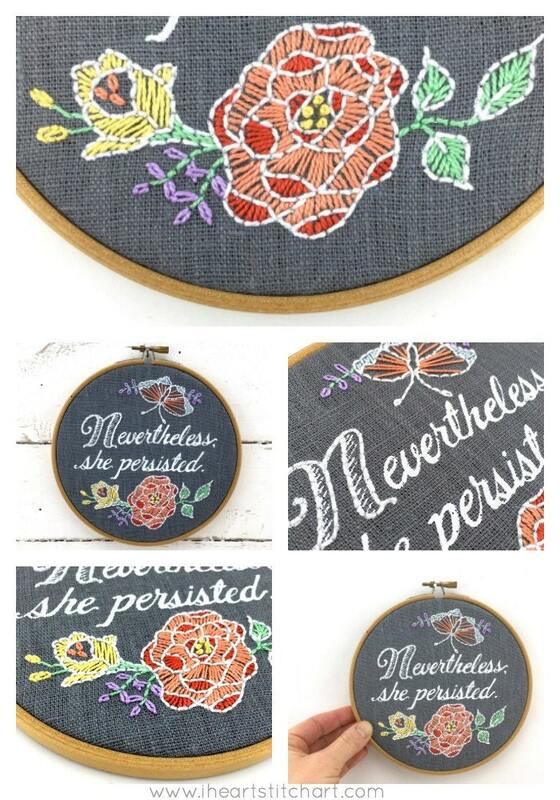 And that is worth celebrating - and also, the perfect excuse to learn embroidery! This pattern looks complex, but in reality the stitches used are very simple! The lettering is optional - stitch over it if you like, or leave it in ink. And I'll walk you through a few options for working the flowers, so you can choose a version you're comfortable with. 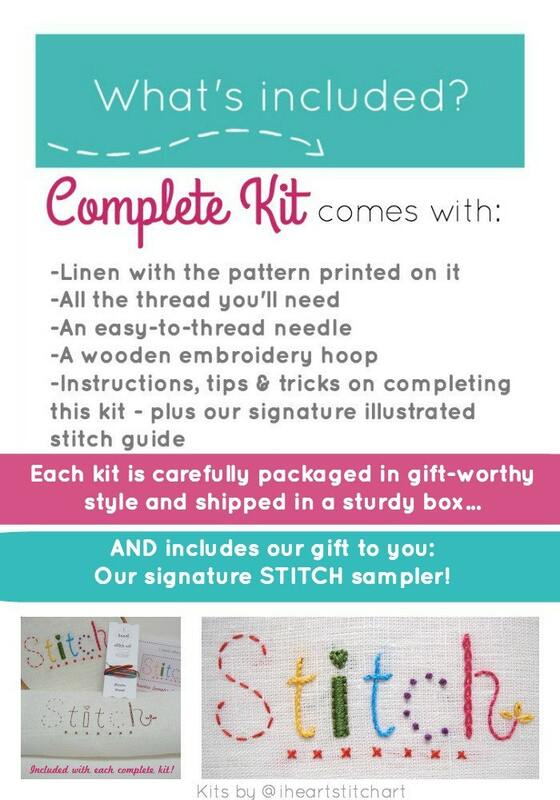 Either way, an adventurous beginner will tackle it just fine, and a more experienced stitcher will enjoy customizing the details! Love it! Such a great gift! Fantastic kit, great instructions. The packaging it came in was so cute I almost didn't want to open it. Thanks so much! 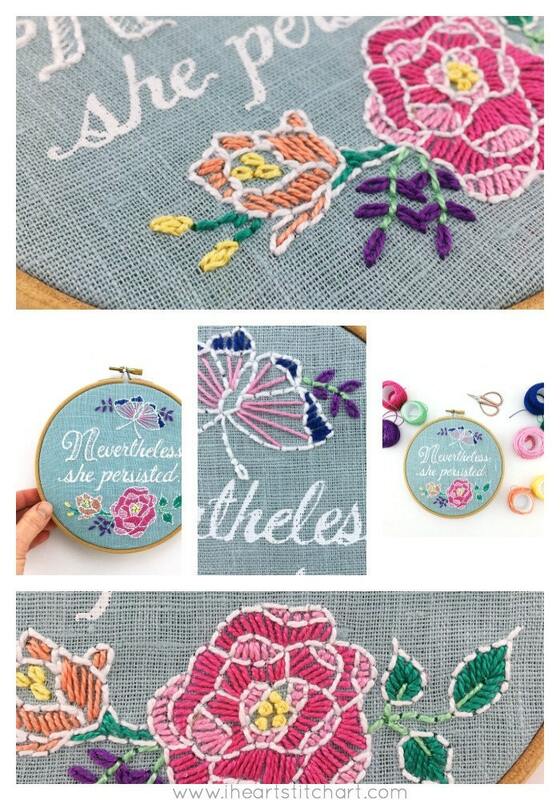 Beautiful design, great thread quality, I really enjoyed the process. Thank you!